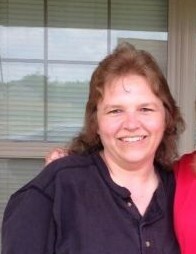 PEARL - Tina Marie Allen, age 53, of Pearl, MS passed away on Saturday, March 30, 2019, at the St. Dominic Hospital in Jackson, MS.
Visitation will be held Friday, April 5, 2019 from1:00 PM to 2:00 PM at the Cleveland Funeral Home in Cleveland, MS. A Celebration of Life Service will follow at 2:00 PM in the Cleveland Funeral Home Chapel. Burial will be at the Delta Heights Memorial Gardens in Cleveland. Stacy Weeks Hurst and Reverend James Gray will officiate the services. Tina was born August 21, 1965, to Archie Joe and Betty Moore Allen in Memphis, TN. She moved to Cleveland, MS in 1976. She graduated from Cleveland High School in 1983. After graduation, Tina went to work for Dr. James Taylor as a dental assistant and worked there for several years before becoming a Pharmacy Technician at Bolivar Medical Center. Her latest working adventure was working in the wholesale floral business. Tina was a people person, always laughing and joking with her friends and family. Her hobbies included singing, playing the guitar and shooting pool, all of which she did very well. Tina loved her family and especially her great niece and nephew. She will be missed greatly by all who knew her. She is preceded in death by her father Archie Joe Allen. She is survived by her mother Betty Allen Simpson of Stewart, MS, a brother Johnny Allen of Lake Village, AR, Niece, Ashley (Andrew) Cocilova of Brandon, MS, great niece and nephew, Kathryn Ellis and Beck Cocilova of Brandon, MS, niece, Nicole Lusk and great-niece Laney Mangum of Merigold, MS, nephew Justice Lusk of Greenville, MS. She also leaves a host of aunts, uncles, and cousins. Pallbearers are Andrew Cocilova, Justice Lusk, Keith Hewitt, Mark Rizzo, Ellis Earls, and Danny Wayne Moore. Memorials may be made to St. Jude Children’s Research Hospital 501 St Jude Place Memphis, TN 38501. Cleveland Funeral Home is in charge of arrangements. The online guest register may be viewed and signed at www.clevelandfuneralhome.net.